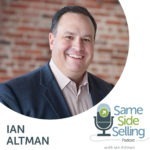 Hosted by keynote speaker, business expert, and bestselling author Ian Altman. 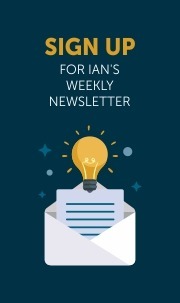 Ian features sales and business topics, as well as insight from industry leaders with proven success. 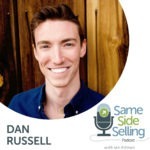 Tune-in to the Same Side Selling podcast for inspiration, entertainment, and especially actionable takeaway messages that can drive remarkable results. Discover how to use deep listening in the workplace to get to the truth faster. And how what you may be hearing from your clients and prospects isn't what you should be listening for. 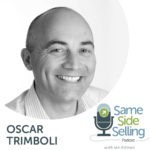 You're going to learn a ton it is a fascinating episode with Oscar Trimboli. Are you really building credible relationships with your clients and prospects or are you just showing up to sell them something and then move on? 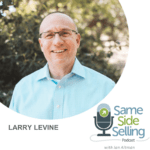 Larry Levine the author of Selling From The Heart joins us to talk about how your authentic self sells you. One of the best things you can do to grow just about any business is get referrals from existing customers who have had a great experience working with you. So how do you get those referrals from your clients? On this episode I give you a proven formula to help you earn referrals. 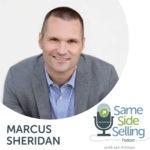 Marcus Sheridan shares how to create video content that can help move the need in sales and drive revenue. He also explains why video needs to be used primarily as a sales tool, not a marketing play. 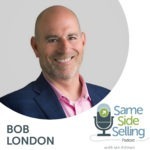 Bob London explains how to think like your customer. 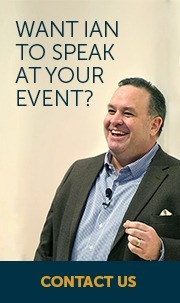 He shares techniques to help you dramatically improve your ability to listen and uncover the truth within your customer base. 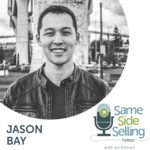 Jason Bay, the founder of Blissful Prospecting, shares specific strategies for effective prospecting to help you achieve greater results and grow your business. 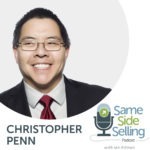 Christopher Penn is an authority on digital marketing and marketing technology. 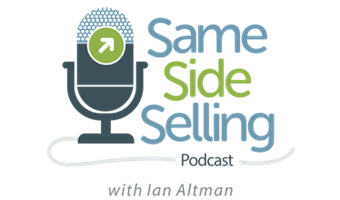 In this episode, he shares how you can use artificial intelligence to leapfrog your competition and make a difference in your business right away. 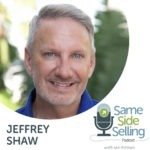 Jeffrey Shaw shares his proven 5-Step Secret Language Strategy that helped his business to go from being overlooked to being overbooked in less than one year. 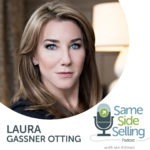 Laura Gassner Otting shares how to break through the doubt, think bigger and BE LIMITLESS in your work and personal life. She also gives business leaders insight on how to incentivize, recruit and retain your best people.